Employers Offer: Reduced rates on a 6 week introductory course. Book before World Mental Health Day on 10th October. Employers, have you ever thought of providing Tai Chi and Qi Gong classes as part of your range of initiatives to promote mental and physical health in the workplace? 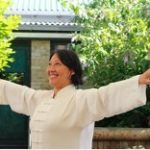 Perhaps you are a member of staff who would love to see Tai Chi and Qi Gong being provided at work. I am currently offering a reduced rate of £400 for a 6 week introductory course if you book before World Mental Health Day on October 10th. A recent report by mental health charity MIND, found that work is the biggest cause of stress in people’s lives and that poor mental health is now the No.1 reason for staff absence. One of the main reasons why people come to my classes is to get help with stress or mental health problems. This article from Harvard Medical school explains how physical therapies like Tai Chi and Qi Gong can help. 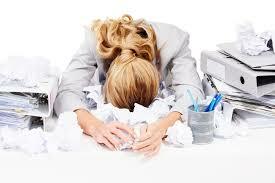 The benefits for your staff will not just be about giving them a break, calming the mind and energising the body. It will be of particular help to those people who feel under stress, but do not feel that they want to discuss this with you as an employer. MIND found that although half of workers had experienced poor mental health in their current job, half of those people did not feel that this was something they wanted to discuss with their employer. Providing classes therefore gives you an opportunity to be proactive in improving the mental and physical health of those people who are struggling unseen. Options for classes can be found on my Business and Organisations page. If you are interested in providing either a one-off introductory session or regular Tai Chi and Qi Gong class for your staff, then please complete the contact form or email me at claire@taichibodyandmind.co.uk and we can discuss your requirements. I generally work in and around Bristol, the West of England and South East Wales. 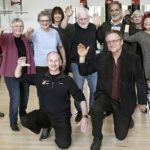 Alternatively, if you are a member of staff who would like to bring Tai Chi to your workplace, just send me the contact details of your HR or Well-being staff member, and I will follow up with them. I currently have several early morning and lunchtime slots available for corporate clients. This entry was posted on 19th September 2018. Bookmark the permalink.